Many people still have no estate plan. Or the estate plan they have in place remains incomplete and will not serve them in good stead in the event of incapacity or death. Each year, millions of people set New Year’s resolutions. At Millhorn Elder Law Planning Group, we encourage you to make 2019 the year you finally sit down and create a full estate plan. You might already have basic estate planning documents like a will or a trust (or both). However, when was the last time you looked at it? Chances are, if 10 or more years have passed, then it is probably time for an update. If any applies, then it can make sense to take a fresh look at your estate plan. For example, you might have bought some investment properties. If you died, then whoever you named to receive the residuary of your estate will probably receive those properties. This might not be your preferred beneficiary, so you’ll need to update. A financial power of attorney, to designate someone to handle your finances when you can no longer do so on your own. You can find fill-in-the-blank forms online, but creating advanced directives this way leaves a lot to chance. You might not be able to think through different contingencies, so it is best to meet with an attorney. If you were involved in a car crash, would your family know where to find your advance directives or your will? If not, then it is almost as if these documents were never created. In 2019, commit to making sure that your estate plan is easy to find. You should probably avoid leaving everything on your computer, since most people will not have the password. Instead, some people create binders of important documents and keep them in a prominent position in their home. Other people distribute copies to the representative named in the document. Find an option that works best for you, but make sure that they are easy to find. 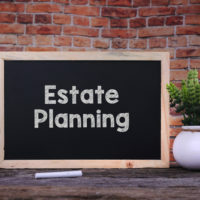 The above are only some of the building blocks essential to any estate plan. Depending on your circumstances, you may need to draft additional legal documents to fully plan for the future. Contact Millhorn Elder Law Planning Group today. You can work closely with one of our attorneys to identify what you need and create a lasting estate plan. Contact us at 800-743-9732 to schedule your free consultation.